One of the most festive places in the world for the holiday season is New York City, and one of the best places to celebrate is the iconic Lotte New York Palace. Home to the famed Villard Mansion, a New York City landmark, the historic, glamorous property boasts a reputation for quality, impeccable service and old-world luxury. Located in the center of New York City in midtown on 50th and Madison Avenue, the hotel is walking distance to some of the city’s best restaurants, attractions, shopping and cultural institutions, including Radio City Musical Hall, St. Patrick’s Cathedral and Rockefeller Center, and is all decked out for the holidays. Located by Rockefeller Center, Lotte New York Palace will be celebrating its annual invite-only tree lighting ceremony to kick off the holiday season on November 29 at 5:30PM. The gorgeous 35-foot ornate tree is the centerpiece of the Madison Avenue Courtyard this holiday season. Lotte New York Palace partner Molton Brown has created a life-size Opulent Infusions Advent Calendar for the hotel, which is set to be revealed on November 29 during the Holiday Tree lighting ceremony. Guests can expect a cheerful lineup of festivities during the holiday Palace Hour, including a selection Molton Brown giveaways each day of December as a countdown to Christmas. All Lotte New York Palace guests will have the chance to win different gifts throughout the season from 5:00 – 6:00PM from December 1 through December 24, 2018. Winners will be selected in a random drawing throughout the month. Launched in 2017, the popular customized postcards are distributed to guests upon check-in. 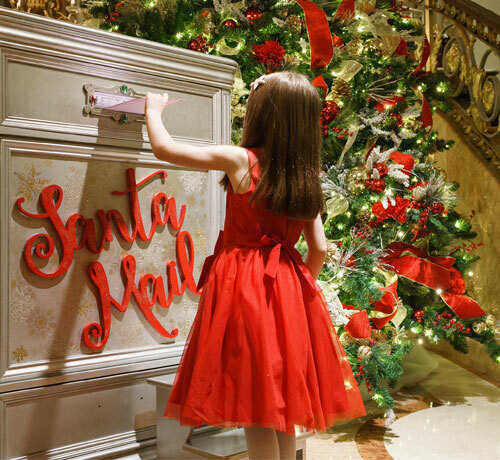 Visitors can then write letters to Santa and “mail” them in the hotel’s Santa mailbox. Each afternoon during Palace Hour from 5:00 – 6:00PM, the Guest Experience team sends a North Pole Postman through the lobby to pick up the cards deposited in the mailbox located by the Courtyard entrance at the top of the Grand Staircase. The letters are read by the hotel’s “Guest Experience Elves” and Santa Claus himself. Each guest will magically find a personalized response letter “from the desk of Santa Claus” placed in their room to create treasured memories each holiday season. Starting November 24th, every Saturday and Sunday through December 24, Lotte New York Palace invites guests to the Grand Lobby to meet Santa. Children are also welcomed to enjoy a holiday story time at 10:00 – 10:30 AM also in the grand lobby. 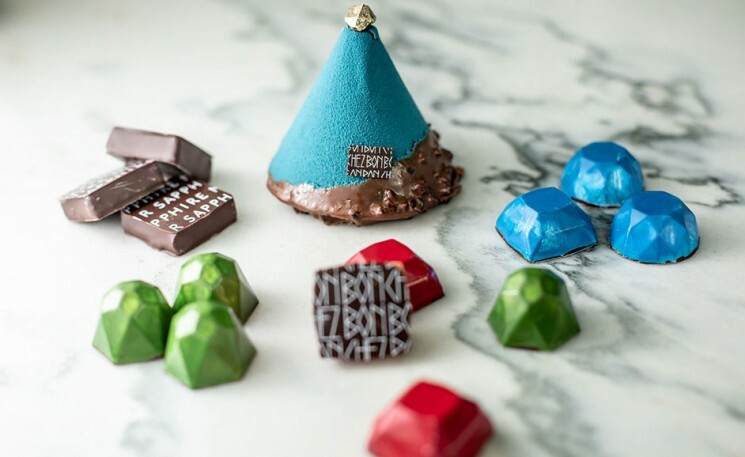 During December, Lotte New York Palace’s boutique pastry shop Pomme Palais will also feature five exclusive hot chocolates. Each beverage will have an accompanying flavor that is typical or traditional to the regions, including Dominican Republic, Peru, Indonesia, Madagascar and New York City. The fifth hot chocolate, made with local artisanal chocolate, will be a glamorous nod to the Lotte New York Palace. Lotte New York Palace is festively adorned during the holidays, and a proud Official Partner of the world-famous Christmas Spectacular Starring the Radio City Rockettes®.